E-Lock offers legally compliant and easy to use digital signature and electronic signature solutions. E-Lock solutions comprise desktop digital signature solutions, online form signing solution, web-based signing solutions and server-side signing solution. E-Lock solutions are being used globally, spanning various verticals, to attain process automation, document authentication, non-repudiation, security, and speedy ROI. E-Lock's diversified solutions have the capacity to meet challenging requirements from any environment, irrespective of the application demand. Seamless integration of E-Lock solutions with existing applications allows organizations to reap maximum business benefits with minimum investments. 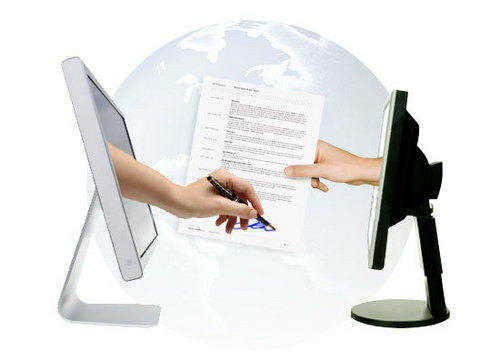 Bulk Signer is an automated, server side file signing solution. It can be run on server to sign files of any format in an automatic way without any user intervention. Using this solution, thousands of files can be signed automatically at regular, specified intervals. SuperSigner SDK is a set of callable API's enables seamless integration of digital signing, encryption, verification and decryption components with any existing or new applications with ease and flexibility. The integration of SuperSigner SDK components enables developers to provide data security and authentication features. PDFeSigner is simple; easy-to-use desktop software that can sign and email PDF files in bulk. It can also password protect the signed PDF files. This PDF file signing software is suitable for signing files in high volumes eg: invoices, HR letters, salary slips, reports etc. SuperSigner is a lightweight desktop utility which allows users to digitally sign, verify, encrypt and decrypt fles of any format. It is an easy to install and easy to use software that can sign and encrypt files of any format.